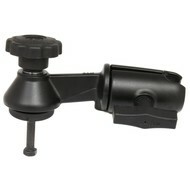 The RAM-VB-110-2U consists of a 6" long single swing arm and swivel single socket that will accommodate 1.5" ball bases. 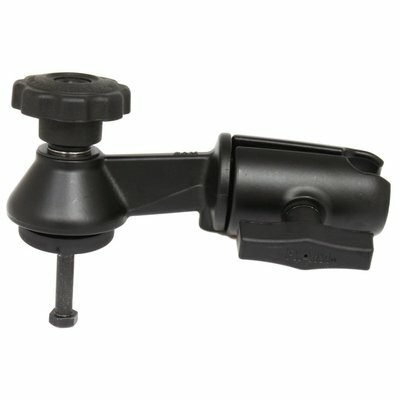 The swivel single socket arm allows you to twist and tilt the viewing angle of your laptop, tablet, UMPC, monitor, or any other connected electronic device, when mounted on your RAM Vehicle Mount. 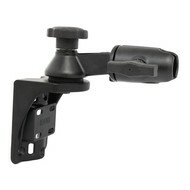 Taking the highly successful RAM Vehicle Mounts to the next level, this rotating swivel arm gives you even more viewing positions for your mounted electronic device while holding everything firmly in place. Easily incorporated into numerous RAM systems, this rotating swing arm is available with the standard 1.5 inch ball size.